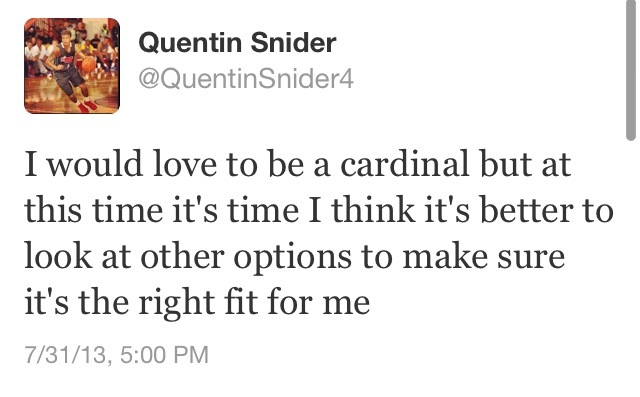 Earlier this evening, Louisville commit Quentin Snider (Ballard High School) decided to open up his recruitment. There were rumors about it happening, and Snider confirmed it with this tweet. This comes as a shock to a lot of people, but maybe not to everyone. Some people had predicted months ago that he may re-open his recruitment, but it never gained too much momentum. Snider is a 4 star point guard and also plays for the Louisville Magic AAU team.